We supply a carefully selected range of quality personalised Wine Stoppers, all of which can be branded with your logo or design. In the case of most of our wine stoppers your design is permanently engraved upon the metal, ensuring a high quality finish. 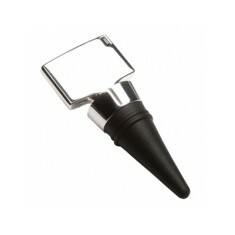 Customised wine stoppers can be used time and time again to save any wine from turning sour. 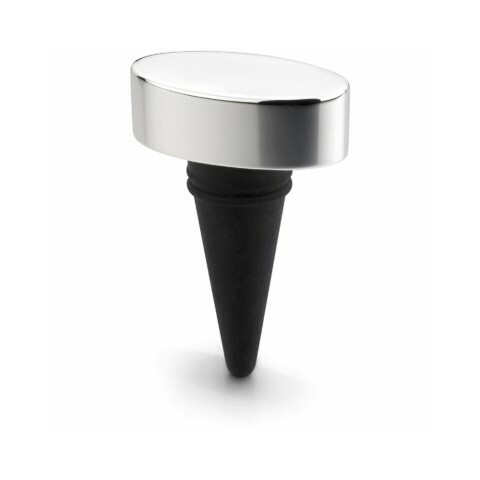 Branded with your design, these branded wine stoppers are going to stay with your customers as they move to save each of their bottles from going stale. 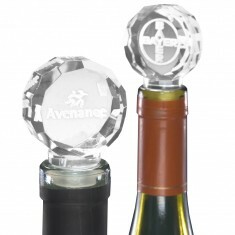 We can even make high end version such as our promotional Crystal Wine Stoppers for when you feel like going the extra mile to wow your customers. 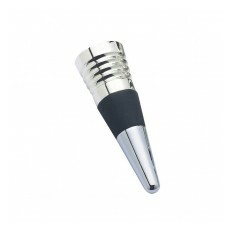 These customised wine stoppers make outstanding corporate gifts and stunning company merchandise for any hospitality companies. Our wine stopper of choice here at MoJo is the custom printed Clyde Wine Stopper. 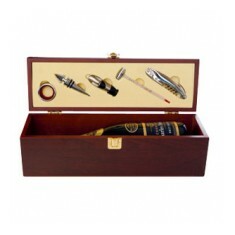 With a metal handle and soft touch, rubberised lower section it has an expensive look and will keep your wine fresh. Laser engraved with your design to the top of it, this personalised wine stopper will be in front of your customers for years to come. 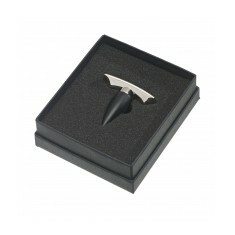 This modern take on a classic design is perfect for hotels or hospitality events but also makes an outstanding corporate gift. Got a few favourites you want to compare? Use our ideas board to keep them all in the same place! Rubberised lower section. Chrome metal finish. Laser engraved branding. T-shape. Shiny top. Individually boxed. Customised via laser engraving to the top. 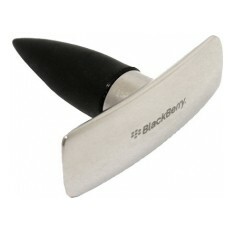 Chrome metal finish & black plastic ring. Customised to the top via laser engraving. 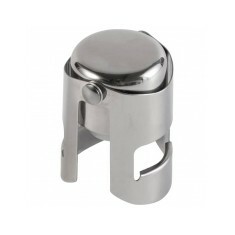 Highly polished top section with large area for engraving with rubberized lowe..